Are you proud of your business in print? distinctive and effective promotional materials. sell sheets, and newsletters, to banners, signage, point of sale materials, product packaging, and cookbooks. Pam determines the messaging, writes and edits copy, arranges photo shoots, and commissions illustrations as needed. All rack cards, brochures and newsletters are professionally proofed before publication. We also handle the print and shipping arrangements. 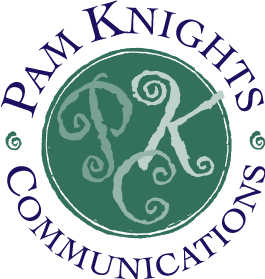 There’s nothing cookie cutter about the materials that Pam Knights Communications produces. Pam works with a network of talented graphic designers to offer a range of styles to meet your needs. Stand Out in Print & Grow Your Business. Contact Pam to get started!